Landon knows who he wants, he’s been dreaming about Adam Taggart his whole life. Tag, though? Thinks Landon’s too poor, too young, too wrong to be his. Landon Gaudet may not be the best bullrider on earth, but he knows that's where the money is in rodeo. 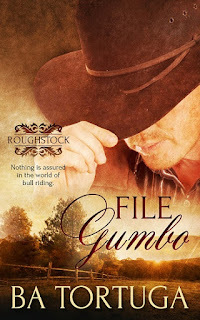 His Cajun heart is more involved with horses, though, and with finding the cowboy he's been dreaming of all of his relatively short life. Adam Taggart has been around the block more than once, and while he thinks Landon is special, he also thinks the kid deserves better than a safety man with more than his share of notches on the bedpost. Adam does everything he can to resist Landon, but there's not a man alive who doesn't love being loved, so eventually he gives in. 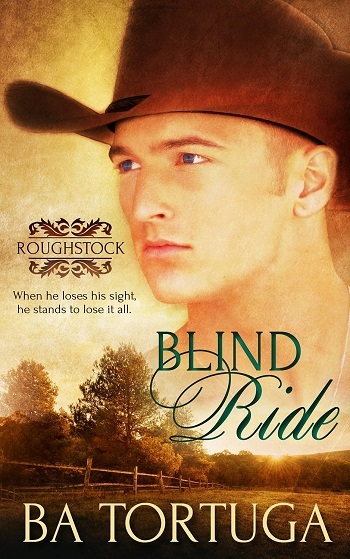 Landon can't believe that Adam is finally with him, that his cowboy has finally come around to his way of thinking. The only problem is that Adam isn't sure he deserves love, or that he really has any to give. He questions everything from his need for Landon to his family’s assertion that he can do better than a boy from the bayou. Can Landon show Adam that sometimes magic is real, and that all you really need is to have a little faith? 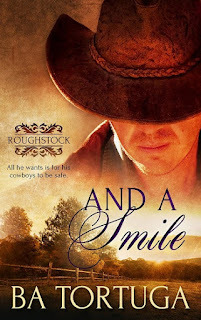 This is book five in the series – so the characters are all well established, and we can just smoothly slide back into this family of rodeo cowboys, bullriders, et al. If you have not read any before, then I would recommend that you start at the beginning, but I think you could probably enjoy it and then move backwards if you wanted. This is, I think, my favourite so far. It is a little less dramatic than some of the others, dealing more with the pain that can be caused by words and acts rather than large vicious bulls. There is a fair amount of Cajun dialect in it, but it still read smoothly and easily (something which is important to me as I read fast!). It was great to catch up with the progress of old friends from previous stories, and also to have some foreshadowing of who is next in line! There is something very satisfying when a book series reaches the point that you don't worry about not being able to pick up what happened before, because they have become part of your book family, and so remain familiar. Most certainly Ms. Tortuga's Roughstock series has achieved that for me. Now I need to know about the other two triplets and their woes and joys – so I do hope book six is in the pipeline! I loved this book. So much so, that I’ve already read it twice. While the book is still set firmly in the rodeo circuit, I really liked how Tortuga seemed to bring even more of Adam and Landon’s home lives into. Considering how different their upbringings were and that their professional paths don’t cross as frequently as the men featured in the previous installments, their story lends itself well to this particular angle. 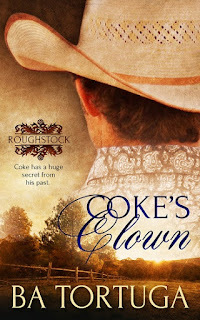 Not surprisingly, the author does a beautiful job of combining their time on the circuit with their home lives to create a romance that sucked me back into the Roughstock universe and that made me more reluctant to leave than usual. In Back to Back, Adam Taggart finally finds love when it’s least expected, and where he finds it surprises him even more. A self-proclaimed player, Adam has no intention of settling down. But as the supply of eligible men his age seems to be dwindling, it’s becoming more difficult for him to find a willing bed partner to play with. That is, until a tiny, barefoot, horse whispering Cajun jumps in the saddle (literally) to save the day. When Adam finally gets over his hang-up about their age difference and gets him a taste of the spicy Cajun, he quickly develops an addiction for Landon that leads Adam to pursue the young man more fervently than he’s ever pursued anyone before. But even as Adam feels himself falling for Landon, Adam falters when differences in their beliefs and educational disparities have his brother, Brian, scoffing at the young man. The thing about addiction though, is that a man addicted can go without for only so long before he realizes where he went wrong (with the help of a few friends willing to deliver a verbal kick in the pants) and sets out to fix what he broke. Watching Landon’s reaction to Adam’s faltering was heartbreaking, but you’ll probably be surprised to know that I also felt badly for Adam. Why? Because Adam suffers from the brainwashing of the educated, and I say this as someone who holds a master’s degree. We’re taught to value our education, told from an early age that without one, life will be even more difficult and the chance of success for the uneducated is miniscule – which results in an unintentional bias against those who aren’t educated. So even though Adam had gotten to know Landon, learned that his lack of a formal education did not mean that the young man wasn’t knowledgeable, he faltered in the face of Landon’s lack of education and Laurel’s hoodoo (something I do actually believe in). As for Landon, I loved how he interacted so easily with Sam. Even as we’ve seen Sam’s improvement over each installment since his injury in Blind Ride, his disorganized speech poses a problem for people that don’t spend a lot of time with him and even some who do. Yet Landon has practically no problem understanding what Sam is saying and I think that this makes it even easier for Sam to interact with Landon. It’s obvious that Landon has an easy going way about him, but watching him with Sam – who is his hero – just melted my heart. Which is what made watching Adam pull his head out of his rear and set things right with Landon and Laurel so enjoyable. While I know that Chrissy and Laurel’s story won’t be told in this part of the Roughstock universe, I really hope it’s out there – I just have to work up the courage to check out the other books, something I’ve avoided so as not to stumble upon any spoilers by accident while the series is being re-released. 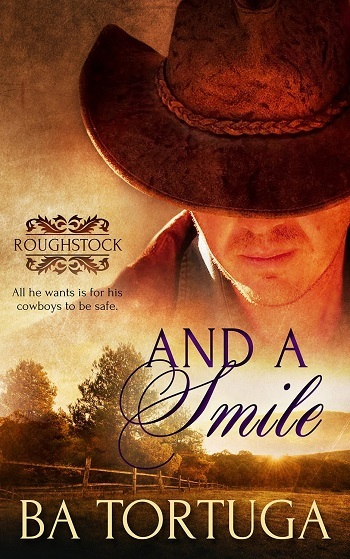 Until I do, I will await the next installment in the Roughstock series so I can catch up with all the guys and find out who’s up for love next. 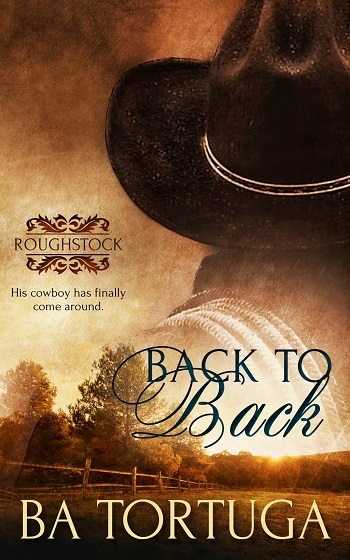 Reviewers on the Wicked Reads Review Team were provided a free copy of Back to Back (Roughstock #5) by BA Tortuga to read and review.